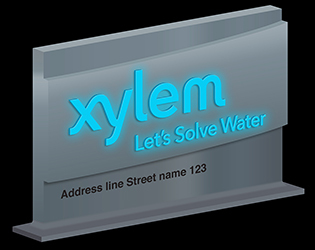 Building Signage & Décor | Xylem Inc. 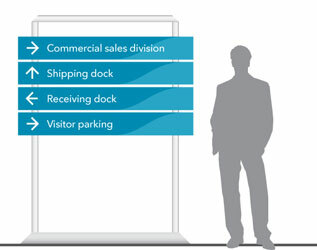 When displaying signage at our facilities, please give careful consideration to appropriateness, size and location. Signs present a unique opportunity to communicate to thousands of people through roadside visibility. 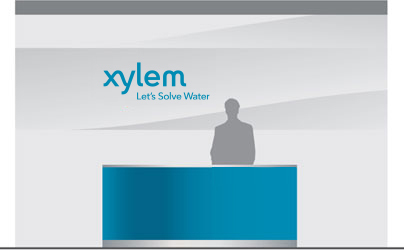 The quality of materials and design implementation reflects on our people, our products and services. Care and attention should be given to every detail in planning and execution. 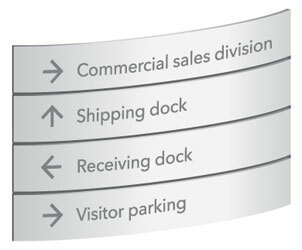 Several examples of signage applications are shown below. 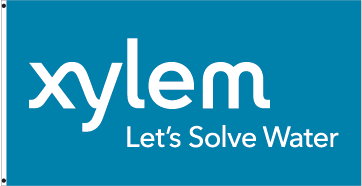 We can further extend our brand outside our facilities by flying a Xylem flag. 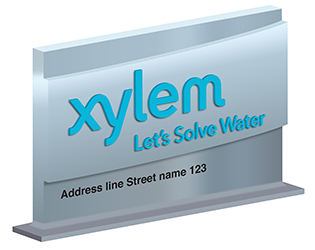 For maximum visibility and impact at a distance, the white Xylem logo with tagline on a field of Xylem Blue is recommended. The sample below measures 70 inches (177.8 cm) wide by 36 inches (91.44 cm) high. You can work with a local vendor to create a flag appropriate for your site. 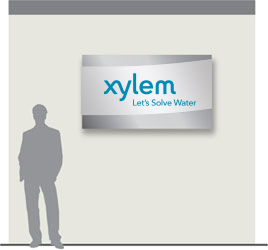 Several roll-up banners describing our capabilities have been developed and implemented in re-branding our corporate facilities. 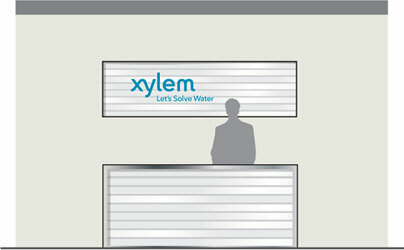 We have made the high-resolution graphics available for repurposing at your own facilities. The banners measure 33.44 inches (85 cm) wide by 85 inches (216 cm) high and are available for download from this page.